Best podcast 2018: The podcast everyone is recommending right now. The podcast everyone is recommending right now. If you’re stuck in a podcast rut, I’m going to need you to sit back and shhhh. 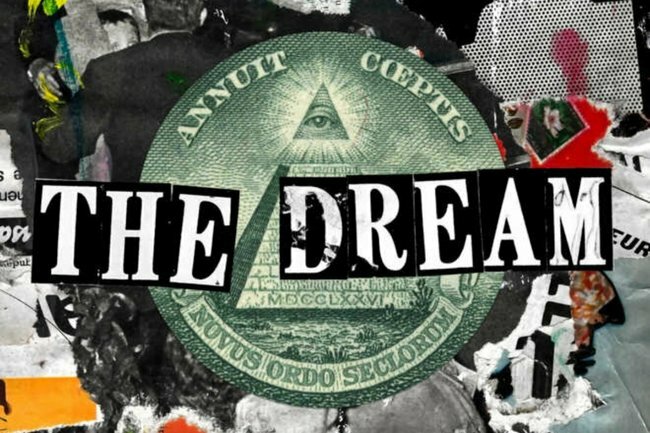 A new show by Stitcher titled The Dream, hosted and produced by This American Life and The Hairpin alum Jane Marie, is all the podcast tragics are talking about. The problem is, and I’m going to go right ahead and say it, it sounds a bit sh*t.
It’s so not sh*t that it has a five star rating, hundreds of reviews and a ridiculous amount of buzz. Love podcasts? Check out our award-winning podcast with what women are talking about, Mamamia Out Loud. Post continues. The Dream is about pyramid schemes. Sort of. And you think you don’t care but you do because most of us know someone (an aunt, someone we used to go to school with, a sibling) who is involved in some ridiculous pyramid scheme and is trying to force it upon us. The conversation you have behind the back of this person, which consists of mainly “What the f*ck?” is pretty much the subject of the entire podcast. They also explore multi-level marketing schemes, which have become a feature of modern life that many of us just turn a blind eye to. But how do they work? Why do people keep signing up? Do people actually make a profit? And what is it that makes some desperate enough to invest in a logic that seems so flawed? The story that ensues is surprisingly interesting and empathetic. This series is not about judgement or lecturing, but rather a quest to understand. Before this podcast, if I’m entirely honest, I didn’t really understand what a) a pyramid scheme was b) a multi-level marketing scheme was or c) the difference between the two. But through a compelling story, The Dream answers all those questions, and provides us with new ones. This is also a story, first and foremost, about women. It is women, mostly, who get caught up in these schemes and often who have the most to lose. Even if that still doesn’t sound all that compelling, I’m going to implore you to just trust me. I didn’t think it sounded all that interesting either. And there’s nothing better than discovering a brilliant podcast, and realising there’s a whole 12-part series waiting for you. For more podcasts from Mamamia, check out our podcast page. There’s a show for absolutely everyone.